God never intended for us to go through these experiences alone. That’s why God has brought us together as a congregationand why we have Stephen Ministry. 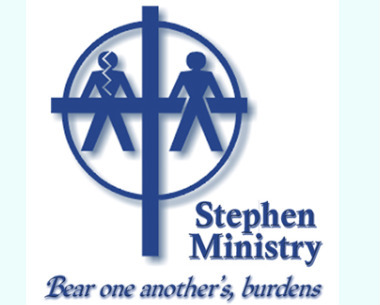 Stephen Ministers are members of our congregation who have received 50 hours of training to minister to people experiencing a crisis or going through a difficult time in life. Every week, a Stephen Minister will meet with you privately and confidentially to listen, care, encourage, support, and reflect Christ’s presence in your life. If you’d like to learn more about Stephen Ministry for yourself or someone else (inside or outside our congregation), contact the church office at 904-264-0536 and you will be connected with a Stephen Leader. FOR MORE INFORMATION CLICK ON THIS LINK TO STEPHENMINISTRIES.ORG.